Naren Young—top cocktail consultant, proprietor of New York’s Caffe Dante and martini obsessive—names his favorites from a 20-year career tending bar. The Manhattan and Negroni may currently be at the top of bar menus, but the martini is still king of all cocktails. The drink, which some say evolved from a whiskey and sweet vermouth concoction around the 1880s, hasn’t gone out of style. But more so than any other beverage, it’s a product that demands exquisite attention to detail. When a cocktail is as simple as a combination of two ingredients—in this case, gin and dry vermouth, with a few more optional ones—those details are key. A great martini transports you on a smooth and seductive wave of aromatic spices and bitter flowers. As a martini obsessive, one who’s scoured the world over a 20-year career tending bar, I’ve spent an excessive amount of time (and money) thinking about the minutiae that goes into making a perfect one. To reach that point, one needs to consider technique (stirred always, please), temperature (chillingly cold), choice of glass, and ingredients—principally the gin and vermouth but also the garnish—that give the imbiber a sense of place. Your company, music, and location might also make a difference. Proportion is important but also personal. The current vogue is 3-to-1, but I prefer a less-high-proof martini made with equal parts gin and vermouth. A drink with little or no vermouth is simply a glass of cold gin. A great martini is a conversation between two people, bartender and guest, who are both passionate about the outcome. Some of the ones on this list may sound unlikely, yet they share the same DNA. Each will make you stop and remember why you started drinking a martini in the first place. 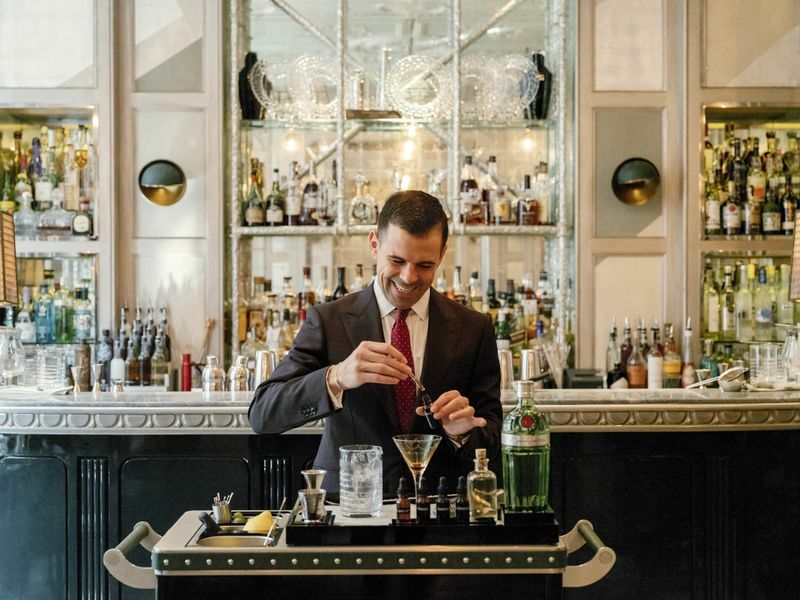 A bartender mixes a martini at the Connaught. 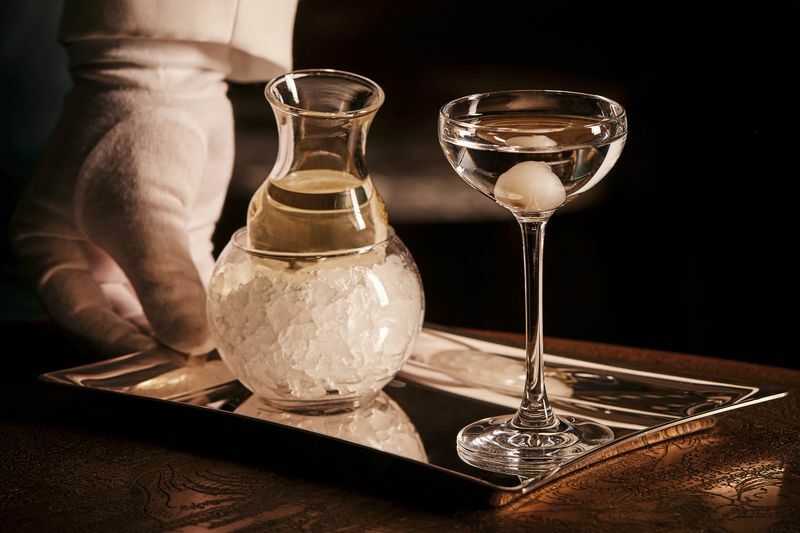 Quite simply, the Connaught delivers the world’s top martini experience. 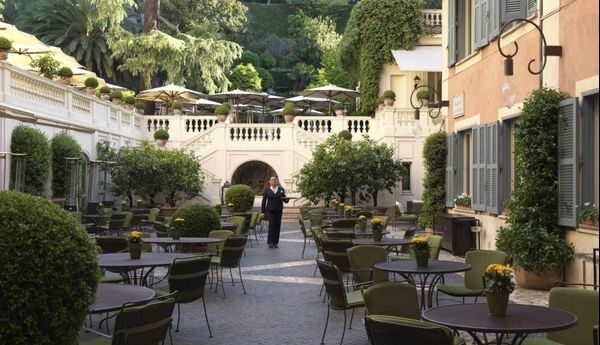 Renowned bartender Agostino Perrone (or a member of his acutely trained staff) wheels the custom-made martini trolley to the table and begins a dialogue about how you’d like yours prepared. There are six house-made tinctures to accent the drink; I’m a sucker for the ginseng. The server will typically reach for Tanqueray No. 10, but I always request Fords gin for its subtle notes of jasmine and coriander. On go the mixologist’s white gloves, and the seemingly simple act of making a drink becomes a choreographed show. Close your eyes as you take your first sip, then open them and regard the stunning room, designed by the late David Collins. It’s one of London’s truly great bars, hotel or otherwise. Duke’s Bar, Duke’s Hotel, LondonEven the afternoon tea features martinis at this classic London hotel bar, just a short walk from Buckingham Palace. The Normandie Club’s vodka martini. 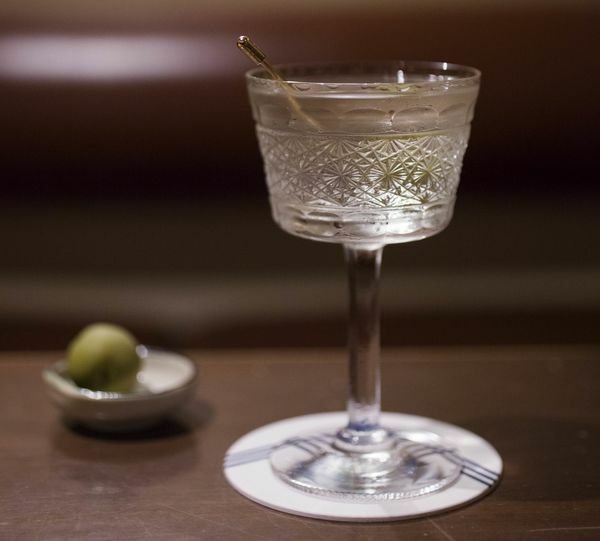 Purists like to hate on vodka, but at the Normandie Club, cocktail experts Alex Day and Devon Tarby argue that a vodka martini deserves the same consideration as one crafted from gin. The base for their martini is a peculiar wheat-based vodka called Aylesbury Duck, which has a full-bodied texture and a hint of sweetness. They also stir in a touch of bone-dry fino sherry to add salinity and a curious nuttiness, a teaspoon of raw white honey for delicate viscosity, and the mist of a gray salt solution. These ingredients are measured in small enough quantities to keep the drink in the realm of a martini, but they give the finished product a sublime complexity. A waiter at the Stravinskij bar in Rome. The plush Roman bar’s martini menu highlights the “Perfect Twelve,” made with gin, aged vermouth, and a drop of grapefruit bitters. Delicatessen, MoscowThe rustic-styled, subterranean Russian lounge, complete with fireplace and piano, offers notable martinis, along with barrel-aged cocktails. Maison Premiere, Brooklyn, N.Y.Two tuxedoed barkeeps stand at attention here, one holding a silver tray with all the martini accoutrements while the other mixes your drink. Bar Goto, New YorkExacting mixologist Kenta Goto serves Japanese-inflected drinks, including the Sakura Martini, with gin, sake, maraschino liqueur, and cherry blossoms. The Walter Gibson at Nomad’s Library Bar is served with house pickles from chef Daniel Humm’s kitchen. 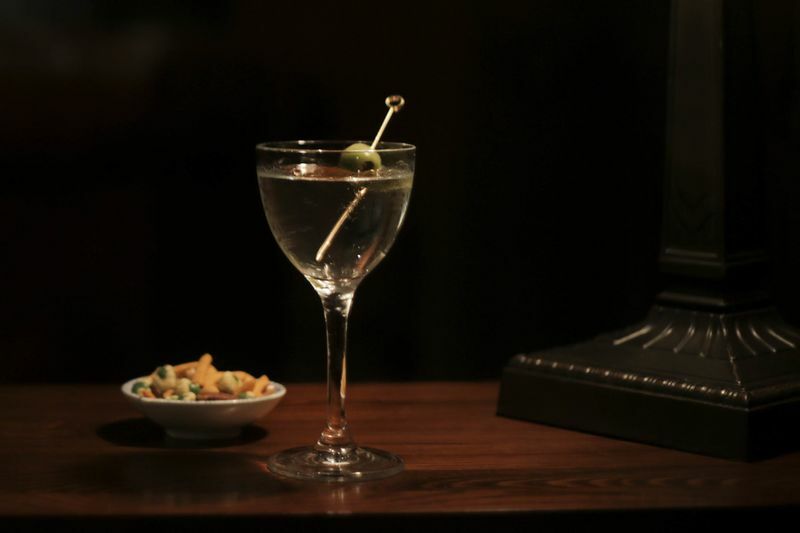 You would think that New York’s famous hotel bars would mix an exemplary martini. They don’t. An anomaly is the Nomad’s Library Bar, where the specialty is a version of a Gibson, which is essentially a martini with a fancy onion. 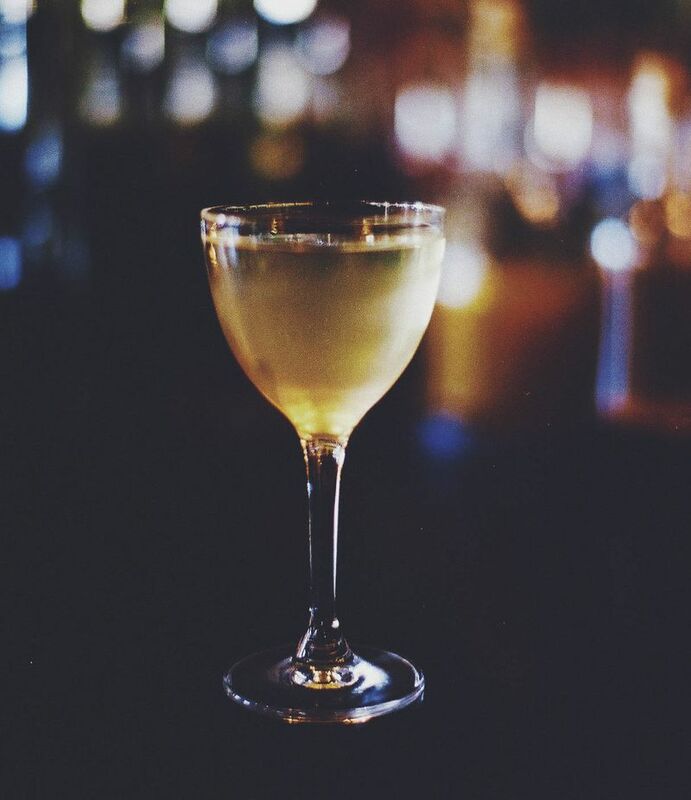 The Nomad’s Walter Gibson includes London dry gin, vodka, and vermouth, served cold and poured directly from a bottle lined with beeswax and edible gold. The result is a drink that mimics a great dessert wine. An added bonus: It’s served with vibrant house pickles from chef Daniel Humm’s kitchen. A pulley is required to get to the top-shelf spirits at Atlas, Singapore. This high-concept, luxurious bar in the lobby of the Parkview Square pours rivers of Champagne for its well-heeled crowd. But Atlas also serves an unforgettable martini. 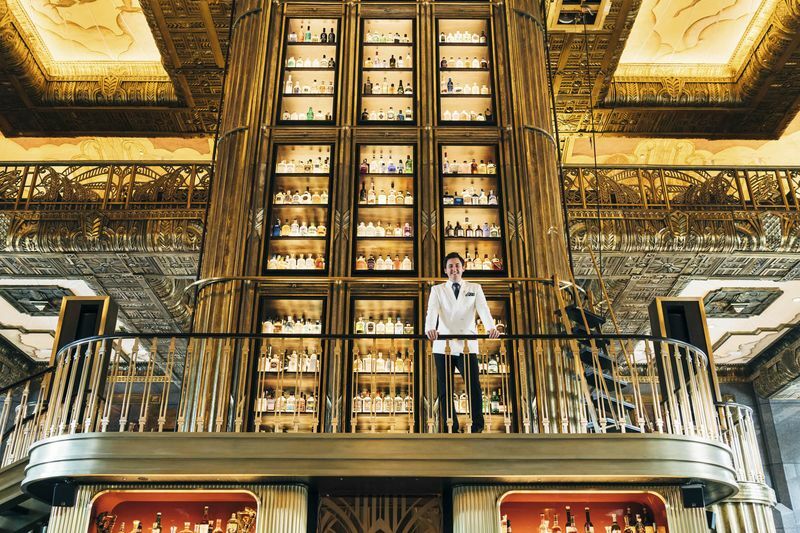 The menu includes more than 1,100 gins to choose among, displayed on an absurdly high back bar with upper shelves that only can be reached by a brave soul on a pulley. The house martini is made with Fords gin. Ambrato vermouth, orange bitters, and drops of Champagne vinegar create a flavor profile that Atlas describes as “strong, cold, and floral, with a little lick of the wild.” The crystal coupe with paper-thin sides is almost too beautiful to hold. A list of pricier vintage gins and vermouths lets you mix and match your own. Tippling Club, SingaporeOn the World’s 50 Best Bar list, the avant-garde restaurant and bar has cocktail-flavored gummy bears and offers stellar classic martinis on request. A small cup of beef consommé precedes the martini at Takao Mori’s Ginza bar. Some of the world’s best bars are hidden behind the flashing lights and expensive boutiques of Ginza. There you’ll find bartending legend Takao Mori, now in his 70s, who’s trained many of Japan’s finest in the business. You’ll be greeted with a warm towel and a small cup of beef consommé. Mori typically uses Boodles gin, though on occasion he’ll pour a local one called Ki No Bi. It’s worth observing the thoughtfulness Mori puts into mixing his martinis; many people, including me, have made a pilgrimage to drink them. New York Bar at the Park Hyatt, TokyoTo evoke a scene from Blade Runner, drink an icy martini at this lush hotel bar while the sun sets over the city. The Hoffman House #2 at Charles H. in Seoul. Tucked away behind an unmarked door in the basement of the Four Seasons Hotel, Charles H. is a leader in Seoul’s burgeoning bar scene. The room, from design pros Avroko, is preposterously beautiful, finished in dark mahogany with brown leather and white tile. The Hoffman House #2 martini is a fusion of two bold gins—Hayman’s Royal Dock Navy Strength and Beefeater London dry—with Mancino vermouth secco, drops of jasmine water and local plum wine, and a spritz of house-made oak tincture laced with smoky Lagavulin Scotch, all of which lend the drink subtle Asian accents. Poured directly from a bottle in the freezer, it has a delightful viscosity and supremely elegant flavor. Otto e Mezzo Bombana, Hong KongThe three Michelin starred Italian restaurant boasts an over-the-top martini, served with a side of osetra caviar. The wooden interior of the Duke of Clarence, Sydney. 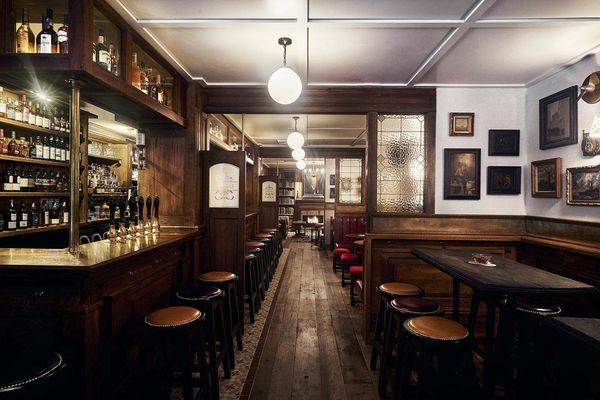 The Duke of Clarence, SydneyIn a space that evokes an 1800s pub, the voluminous drinks and spirits list here includes the Clarence Gibson, with Bombay Sapphire and a hit of dry sherry. Gin Palace, MelbourneThe move here is the signature 1951 Chicago Martini, served with an obscene amount of gin and a wash of Cointreau and finished with an anchovy-stuffed olive. Boadas, BarcelonaSince 1933, Boadas has been famous for ‘throwing’, or theatrically passing, the gin and vermouth back and forth from great heights, which subtly aerates the drink. The Milk Room, ChicagoIn a jewel box of a room inside the Chicago Sportsman’s Club, a vintage martini is intently stirred by a dapper bartender. At Houston’s Tongue-Cut Sparrow, two types of vermouth go into the glass. Noted barkeep Bobby Heugel says of his martini: “It is just a classy piece of work. 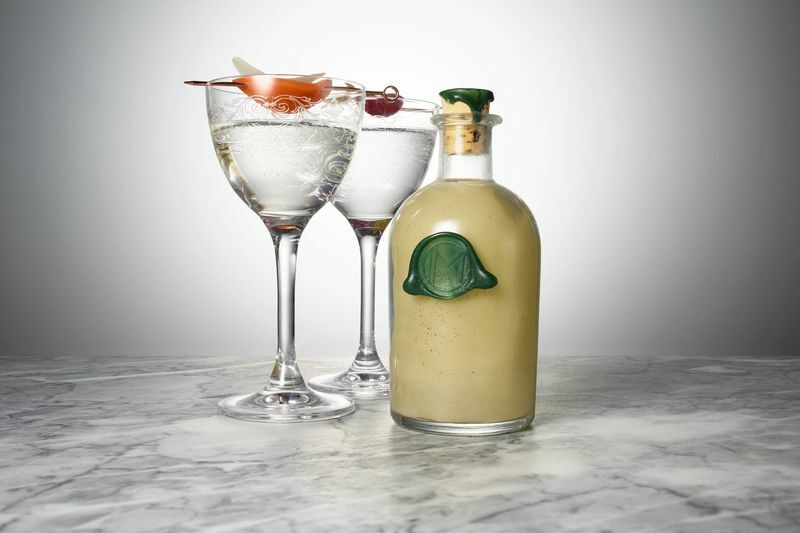 Nothing in particular that is overtly distinguishing, just a perfect example of what it should be.” He reaches for classic Tanqueray for the base, then stirs in equal proportions of a mix of two types of dry vermouth. He garnishes it with a Castelvetrano olive (unpitted, to maintain its density) and a lemon twist. Heugel sourced the same long-stemmed, wide-bowled glass used at London’s famed American Bar at the Savoy. The room is dark, sultry, and decorated with a couple of massive Chesterfield sofas: Take advantage of them.